OBS Engine RTA Atomizer comes with 5.2ml large capacity tank features 25mm diameter, side filling and full glass window, designed with top airflow control, POM drip tip and DIY build deck. OBS Engine RTA Atomizer comes with 5.2ml large capacity tank features 25mm diameter, side filling and full glass window, you can see the remaining capacity of the liquid easily and it's also very convenient for clearing. 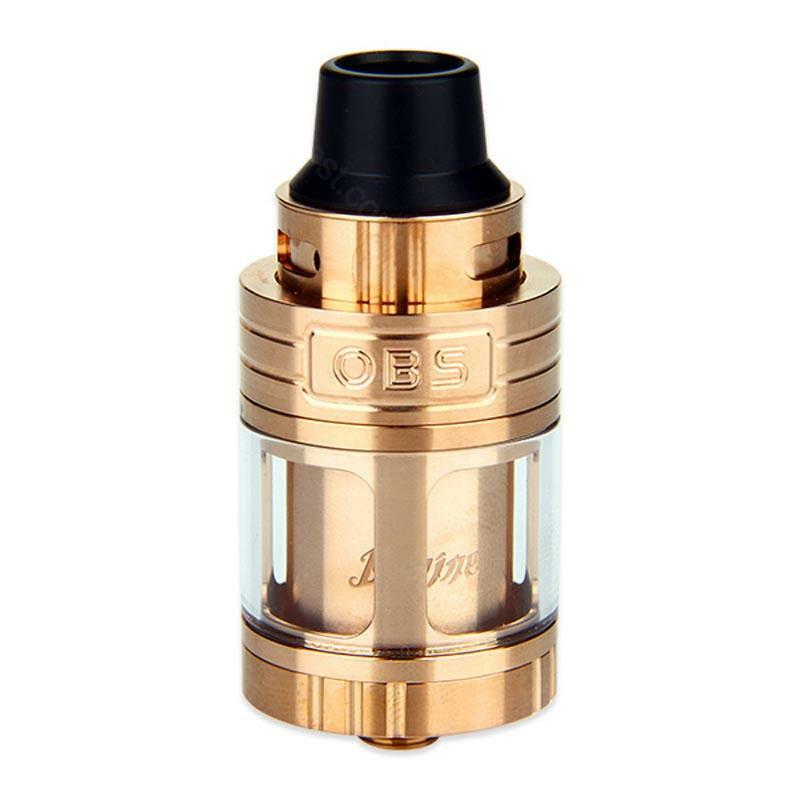 OBS Engine RTA designed with top airflow control and temperature control which reuses the airflow through the tank and cool the chamber when working under high wattage. In addition, the POM drip tip combines the flavour of a dripper with the comfort of a tank and the 17mm DIY build deck diminishes the heat conveyed from the coil, all those functions make OBS Engine RTA is special to the other serial tank and it's compatible with most 510 thread battery or box mod. OBS engine RTA, decent product with cheap price!